“Spring Into Fun” at THE FAMILY BLOCK PARTY from 4-8 PM at 4th Street Plaza. We’ll have a variety of Carbondale organizations on site with great summer information and activities for kids and families! We’ll of course have our KidZone with activities and a bounce house, courtesy of the Carbondale Recreation & Community Center, The Rosybelle bus by Carbondale Arts, arts & crafts by HANDMAKERY, and much, much more! 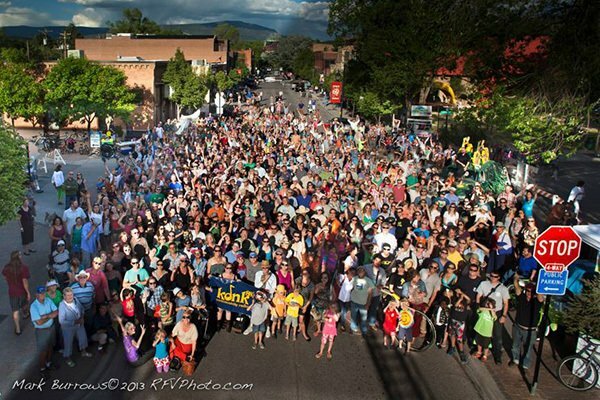 Live music, a silent auction, craft cocktails from Roaring Fork Beer Co. & Marble Distilling Co., great local eats from Slow Groovin’ BBQ, Elevated Elixirs, and more! And of course meet some of Colorado Animal Rescue’s sweetest adoptables! 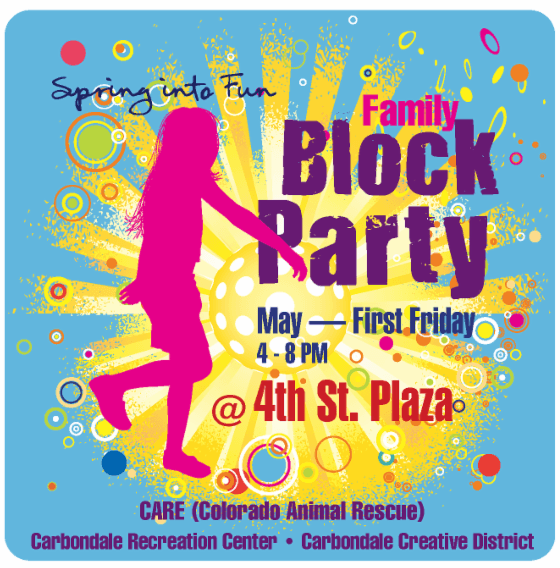 There is something for everyone at THE FAMILY BLOCK PARTY during Carbondale’s First Friday on May 3rd!